Available in 2 fun designs. 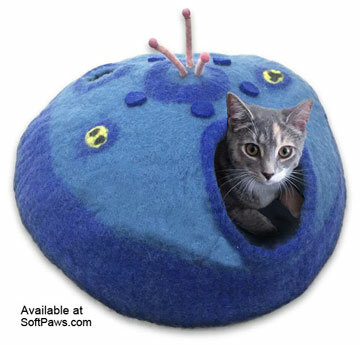 UFO: Cute space-inspired cave has an extra, smaller hole in the back for more peek-a-boo fun! Cherry Blossom: Lovely flower design. Sweet and unique.